….makes April fools of us all. This is my bracket. 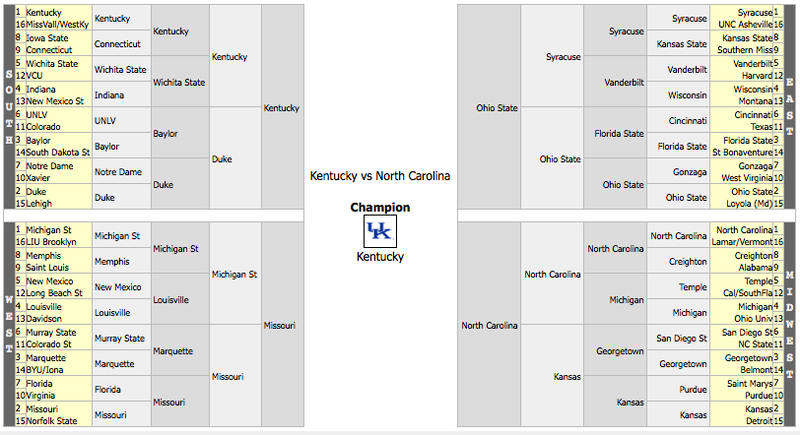 My pick to win it all…? Anthony Davis #23 and the Kentucky Wildcats. I would’ve picked Hawai’i, but we got snubbed again….